Like you, I’m passionate about living a more natural and healthy life in tune with the seasons and nature. This quest has led me to herbs and more precisely Herbalism. 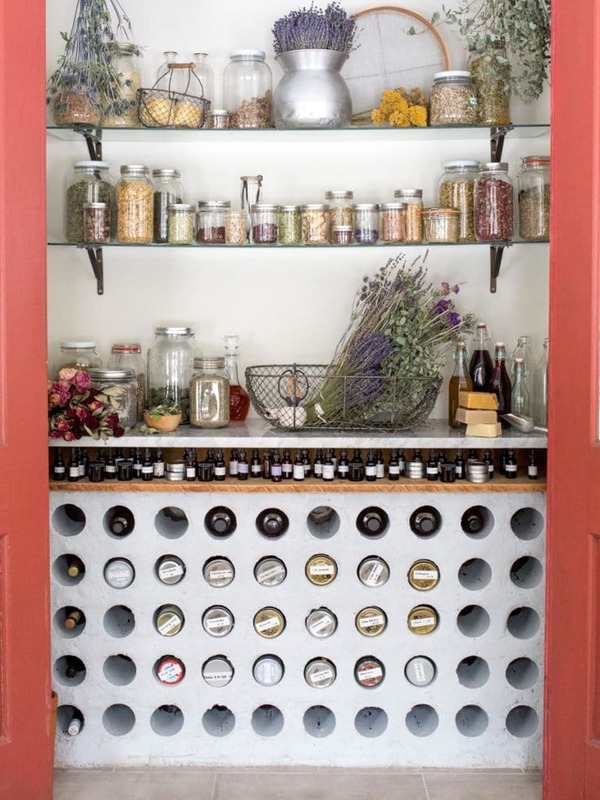 Herbalism is the study of plants and their medical and beneficial uses. 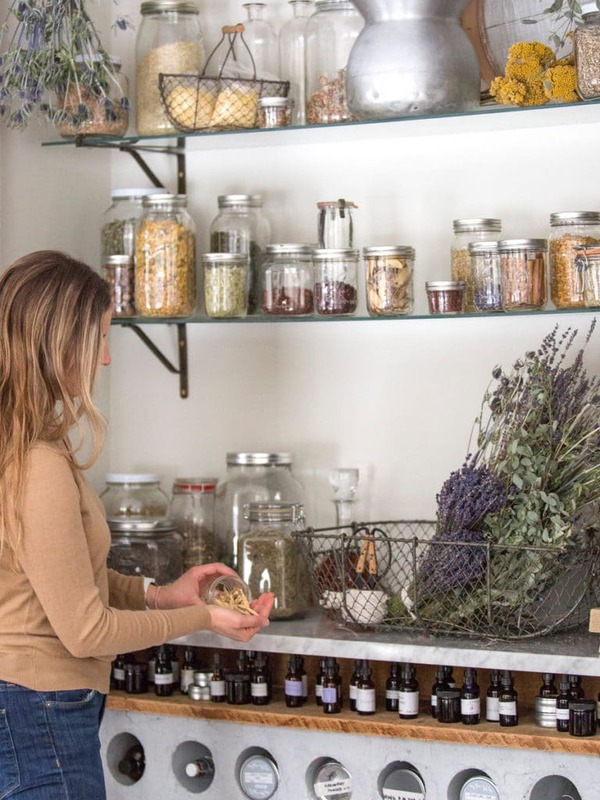 It’s a beautiful way of reconnecting back into nature, learning a lost skill and being able to make delicious remedies, tonics, teas and skincare for you and your family. I know from experience that a really great course can plant the seed and really develop your knowledge and expertise and give you that confidence to work with plants. It’s for that reason that Im a HUUUGE fan of The Herbal Academy (as well as being a student and member of their Herbarium!). I first came across them a handful of years ago when I was looking to further my studies. 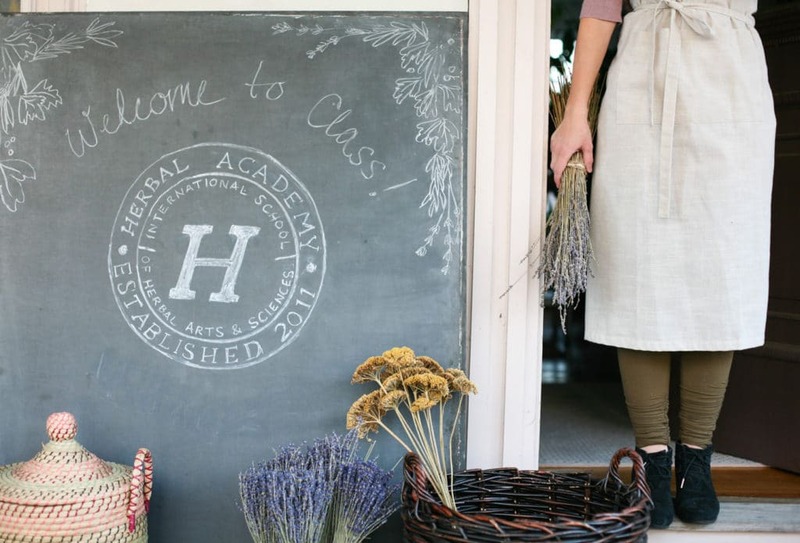 The Herbal Academy really is one of the best places to learn about herbalism in a beautiful, clear and family friendly way. So Im pretty excited to share this lovely early bird offer, that celebrates the update of the Herbal Academy’s online classes. The new updated classes have real textbooks (yippee! ), companion booklets and recipe and monograph books. And yup, even if your here in the Uk or Ireland you will still receive these items. There is truly nothing like these printed programs available that I know of! The revised herbal programs boast of the very latest research available and feature expanded lessons, fresh videos, hundreds of recipes, new multimedia resources, and experiential exercises that will take your learning off your computer and into your kitchen! LIMITED TIME SIGN ON BONUS! The goodie bag includes a 25 set Recipe Cards, Herbal Academy Crest Decal, 4 Botanical Bookmark Set, 72 Apothecary labels, and a reusable Academy muslin storage bag! This early bird offer ends on 20th February so don’t miss out! 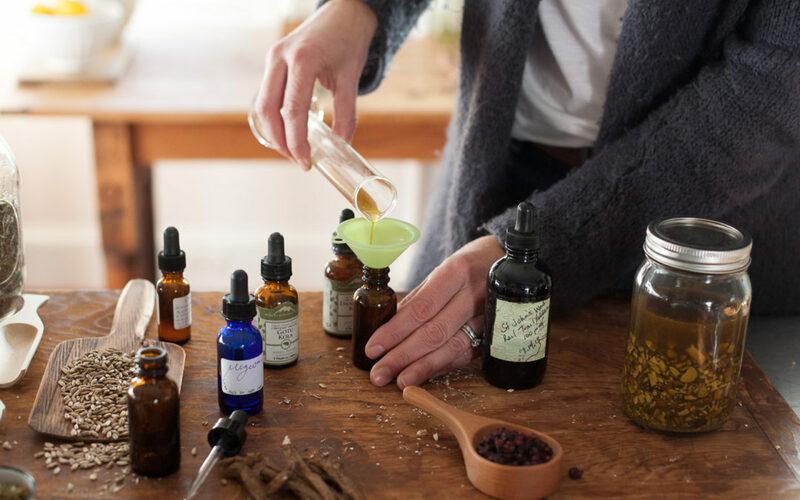 Click here to jump over to the Herbal Academy site to explore the new programs now! You’ll also notice dozens of new educators in the courses, including herbalist-adored Guido Masé! Longer instalment plan options offering more manageable monthly payments! 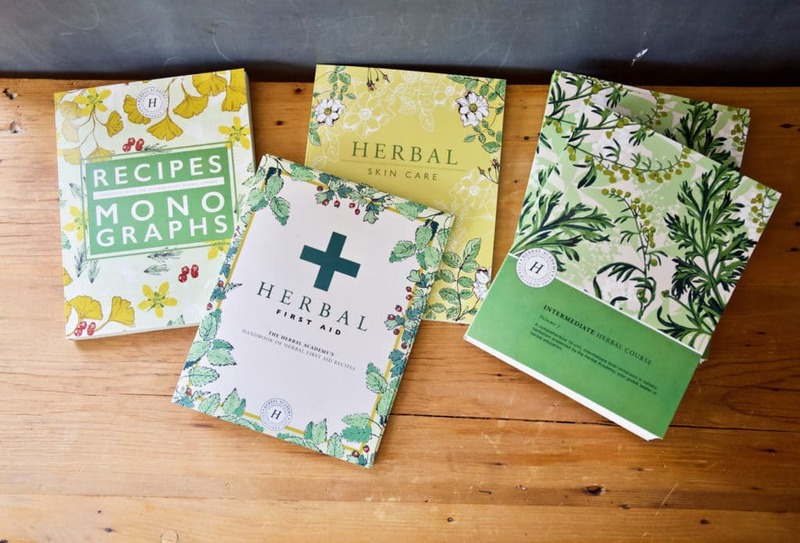 SIGN UP TO THE HERBAL ACADEMY NOW! Registration during the early bird enrollment period runs through February 20th. Sign up now while enrollment is on sale and receive your $70 goodie bag with a print package upgrade! Stop by the Herbal Academy’s website to view their beautiful spread of fresh programs offered now in both print and online! 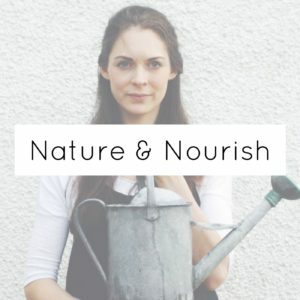 PS-I am a proud affiliate of the Herbal Academy and I’m also a student there.If you purchase through my links I may make a small commission which enables me to carry on creating content here on this site. I truly appreciate every click and thank you.